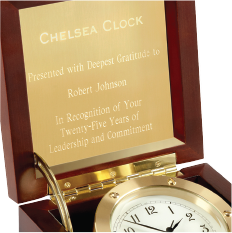 Show employees, clients and business associates your commitment to excellence with an engraved gift from Chelsea Clock. 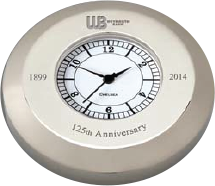 Customize any clock with your logo and a special message for a meaningful corporate gift that will be cherished and appreciated for years to come. Companies of all sizes express their appreciation and esteem with personalized Chelsea business gifts for employees, clients and colleagues. 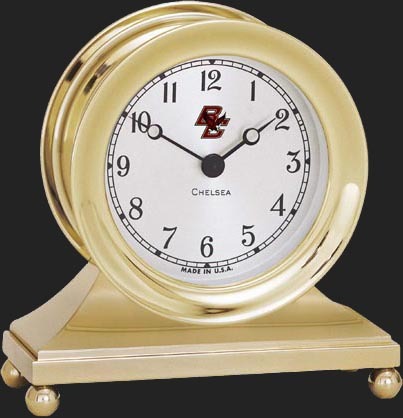 A Chelsea clock not only symbolizes the valued time spent with an organization, but marks special moments – which is why they’re ideal for everything from welcome gifts to retirement gifts. Since 1897, superb craftsmanship, quality and precision have been the hallmarks of a Chelsea clock. 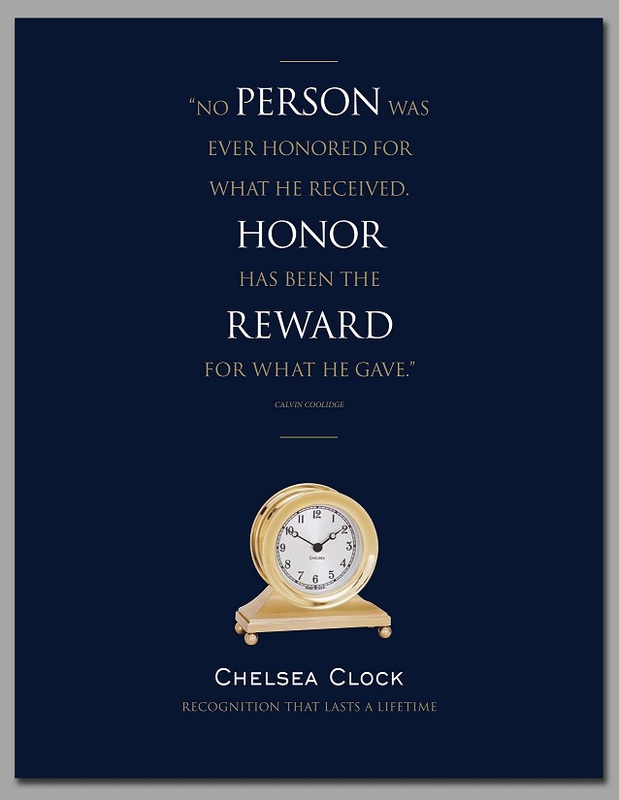 And a gift from Chelsea ensures the highest level of respect and recognition will be conveyed long after the gift is given.